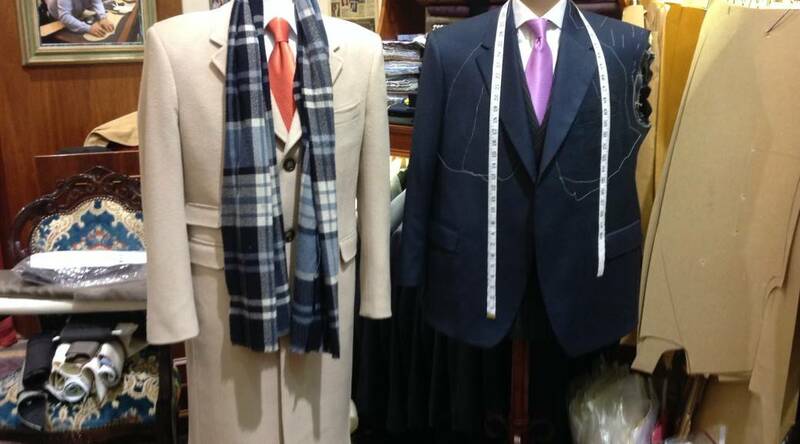 My grandfather was a master builder, my father is a Master Tailor. I too am a Master Tailor, I guess the Mastery did not miss a generation. We all have one thing in common – we are engineers, we all have a craft and we love what we do. This is why we all have a passion for our craft as my grandfather, my father and now myself, we are all perfectionists. We were all born to create and bring to life the material we use. As a little boy I watched my grandfather build his home from the foundations to his dinning table. As for my father, I watch him bring a piece of cloth to life from start to finish, that is were my passion began. At the age of six, I was standing on a milk crate cutting around chalk marks with big 13 inch shears. By the age of nine, I was making trousers, soon after that by at the age of 15 I had left high school and gone to work with my father, who had the fourth biggest suiting manufacturing company in Melbourne, this is were I started appreciating the craft. I think I was about 6 years old at the time and my family were on our way to see my uncle in hospital. When we arrived, I split the inner thigh seam of my trousers. I started crying because I felt embarrassed. My father asked me to remove my trouser when we were in the car and by this time I was hysterical. So I removed my trouser and gave it to my father. He put his hand in his fob pocket. He removed a thimble, lifted his lapel and grabbed a sewing needle undid the hem of his trousers and used that cotton to sew up my trouser. 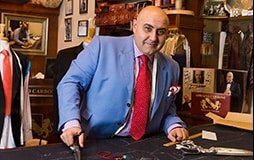 All I can say now when I think back at that moment in time, that is one of the qualities you need to be a Master Tailor. That is the ability and instinct to resolve a problem as quick as it arises.